Maddie is a young cat that was rescued and adopted by Tammy Summers and her daughter from the South of England when she was 12 months old. Despite the loving environment in her new home, she continued to exhibit the shy and defensive behaviour she learned on the streets. Even after three months of living with her new family, she tried to scratch her owners when they tried to pick her up. Her anti-social behaviour was most likely caused by a lack of handling during the key socialisation period of two to seven weeks. This would have been further exasperated by moving to a new environment with no quiet spaces/areas where she could feel protected. 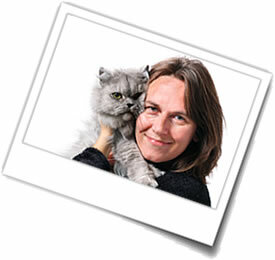 Following recommendations from a pet behaviourist, the family stopped picking her up and instead allowed the interaction to be on Maddie’s terms. When she did try to interact with her owners, she was rewarded with a treat to encourage positive associations. To help her feel safe and secure, the family put her bed in a high place and gave her a number of ‘hideaways’ where she could escape to when she felt threatened, for example: cardboard boxes were placed around the home; the tops of wardrobes were cleared so Maddie could hide on a high vantage point; and belongings were moved out from under the bed. A cat flap was also installed so that Maddie can enjoy warm and sunny sleeping places throughout the day between the house and garden. Maddie’s food bowls were placed in a quiet part of the house so she can eat in peace. Her water bowl is in a separate area, as cats prefer not to eat and drink in the same spot. 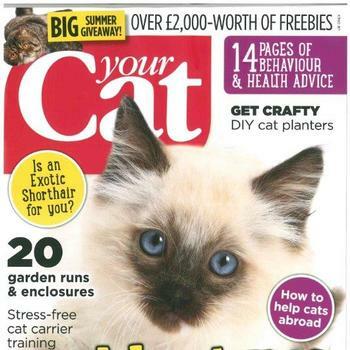 Additionally, her litter tray was positioned in a tucked away corner away from where she eats, to enable her to toilet without feeling embarrassed. By making simple changes within her environment, Maddie began to react more positively to her family. Within a couple of months Maddie has become a very different cat. She now regularly seeks attention and affection from the family. 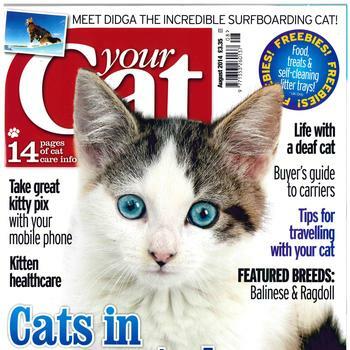 Your Cat - June 2015 - Wet or Dry? 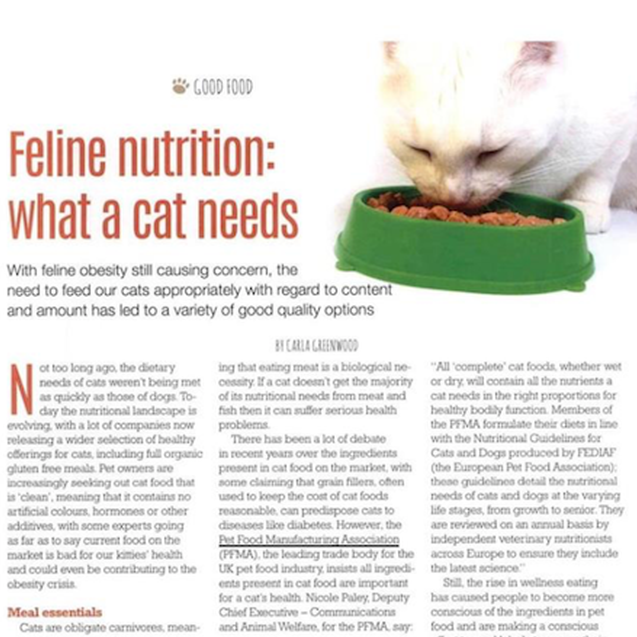 Food expert Nicole Paley discusses the advantages of both and highlights why feeding a mixed diet could suit your cat.